We are very excited about this next installment of the London Larder, as we profile our selection of London's finest butchers. 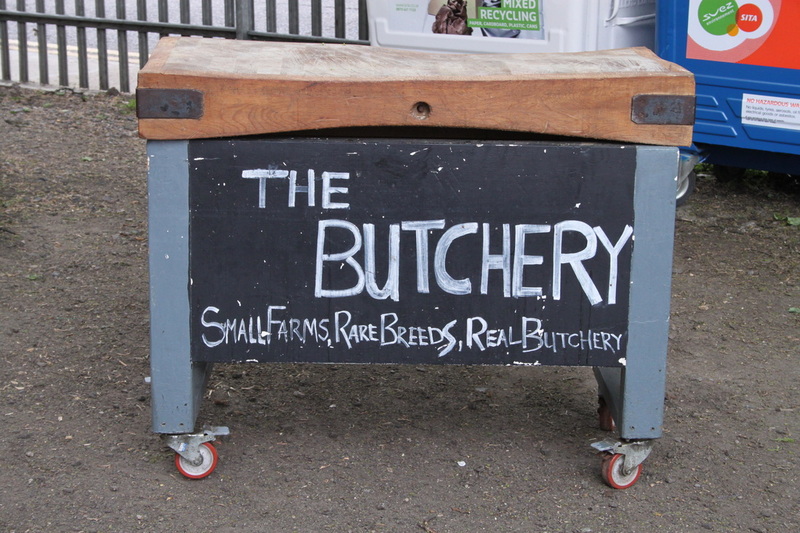 Join as we explore the nose to tail of The Butchery at Spa Terminus to our favourite local butcher, Highgate Butchers. One of the life’s necessities is finding a good local butcher: a true traditionalist, a neighbour, offering quality meats, personalised service with minimum fuss. 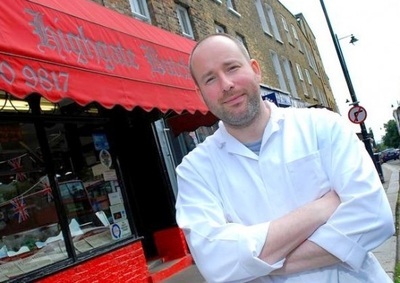 Highgate Butchers is one such butcher. In this small store on the high street, you will find one of Britain’s finest. Run by mother and son team, Phyllis and Lee Harper (pictured), this small butcher offers excellent produce, including aged beef, Welsh lamb, free-range chickens, home-cooked ham and homemade sausages. Meats can be ordered and sourced, perfect for Christmas. Cooking tips are a plenty and Lee will even remember your last order and inquire how it went. On a weekend, come early as it gets busy. You would expect nothing more from a butcher that has more than earnt such a strong local reputation. Distinctly British with an unmistakable passion for the great British larder, we just love this local supplier of all things charcuterie - Cannon & Cannon. With a store at London Borough Market and a permanent home at Brixton Village, these charcuterie boys offer some of the city’s best charcuterie and cheeses. 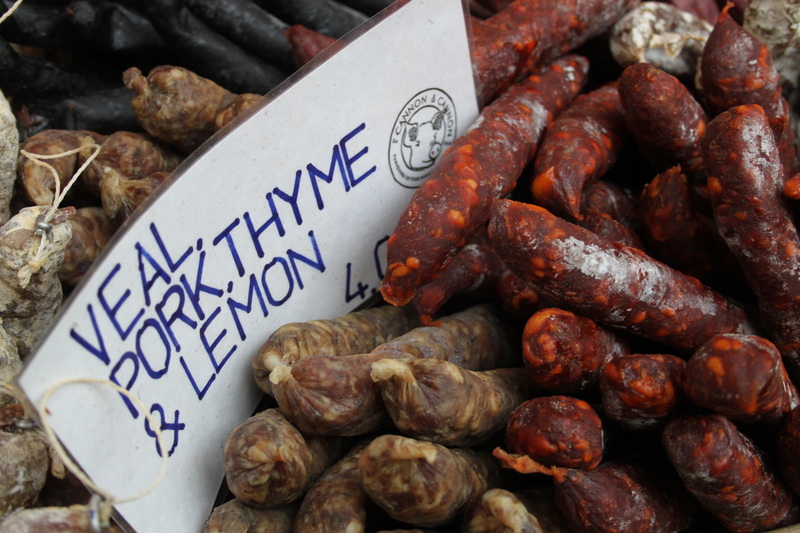 Sample the veal, pork and lemon or cobnut salami (English hazelnut) - all included in the 3 for £10 offer or try some of the Wild Scottish Red Deer Chorizo (if it’s available). All artisan and made with 100% British produce, their selection of seasonal hams, salamis and cured meats champions this emerging British food craft. In their Brixton deli, you’ll also find a range of cheeses including Bermondsey Spa from SE16, Mrs Kirkham’s Lancashire, and Lincolnshire Poacher and crafted beers like Kernel Brewery. The seasonal theme continues upstairs at Salon - a supper club styled restaurant that plays host to monthly food events (it is also open Friday - Sunday for lunch and dinner). And for one of the best food ideas that we have come across this year, you can join Cannon & Cannon’s meat club to secure their very finest. Five generations strong, C.Lidgate is a butchers' butcher. With its old-fashioned service and exemplary craftsmanship, it has more than earnt its reputation for excellence. Nestled among the upmarket cafes of Holland Park, prices are at a premium but the quality and range of its produce is undeniable. Meat is carefully sourced and then hand-selected from free-range and organic farms and estates. Winner of multiple awards, it is a purveyor of choice for game meat, cured hams, aged and festive meat. Popular favourites include homemade sausages such as classic Cumberland and Gloucester Old Spot as well as pastries and pies, including the three star Great Taste Award winner – Beef Bourguignon. 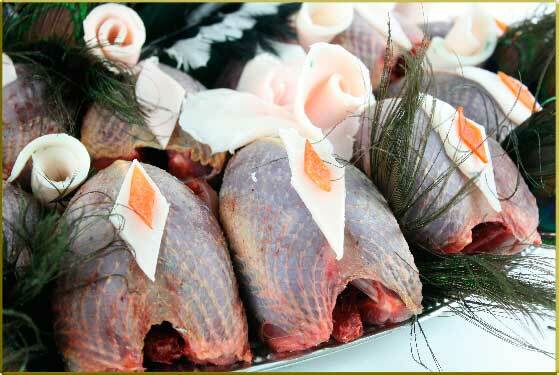 C.Lidgate is the London butcher for wagyu beef and fresh wild game such as red leg partridge. Online: Yes. National delivery offered. 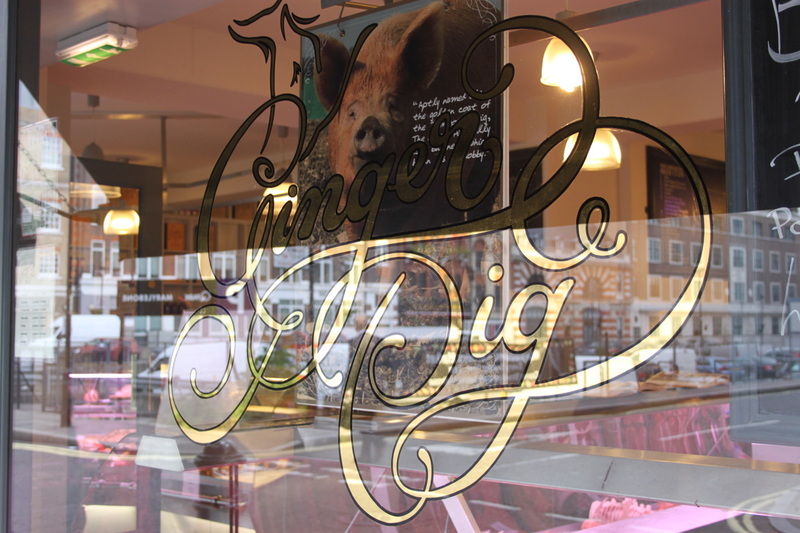 The modern incarnation of a traditional butcher, Ginger Pig remains the hallmark of nose to tail butchery in London. In its stores, you'll find the finest quality of meats, the most traditional of sausages, tantalising hand-raised pies, and sausage rolls. Meat is sourced from its Yorkshire farms and like-minded ones across the British Isles. 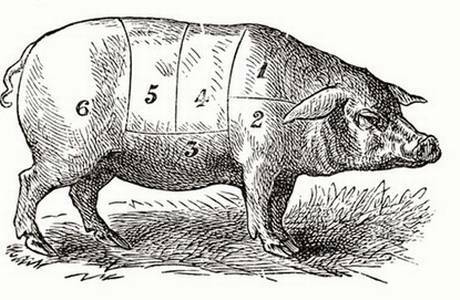 There's the Ginger Pig range of appetising preserves, stocks, and conserves, cookbooks and its seminar of butchery classes. This very modern butcher has earned itself celebrity status by co-hosting pop-up events such as Cuts. This popular event with Forza Win showcased its native breeds and promoted underused cuts, all cooked over different woods and described on the menu. A triumph of theatre, taste and innovative butchery. This very modern butcher whose name is taken from a rare breed offers a very modern take on butchery with its passion for good husbandry and welfare, commitment to its artisan craft and excellence of service. 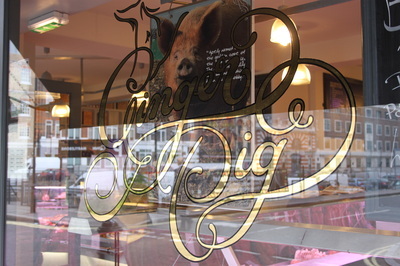 You can get details of its other stores here at the Ginger Pig website. With its welcoming green and tree-lined streets, Parson’s Nose is perfectly at home in this quiet corner of Fulham in south-west London. 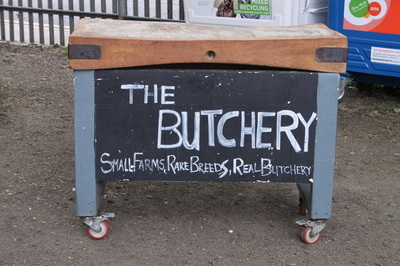 A family-run business with a passion for provenance, this is a butcher that prides itself on its produce and service. All meat is grass-fed and reared naturally. Meat is delivered on the bone, aged for at least 28 days, and then prepared on view inside the store. All meat comes from slow-growing breeds and other produce is free-range with the team knowing all the farms it works with. There’s a larder stocked with condiments and fresh produce. You’ll find classic cuts, the best of British sausages like the Fulham as well as prepared meats perfect for this very family friendly village of London. For the cooking enthusiast, butchery classes are run on a regular basis, including the very popular sausage-making class. A very friendly store at the heart of its community. Nathan Mills is a man that knows meat with his nose-to-tail approach to modern butchery. With an emphasis on provenance, buying in whole carcasses from British suppliers, The Butchery has a distinctively Aussie approach to its produce and food philosophy. With twenty years under his butcher’s belt in both Australia and London, he knows “not all meat is created equal”. Not only does he source his from smaller farms and in conjunction with Traditional Breeds Meat Market but the meat is butchered traditionally in-house. Inside its stores, you’ll discover new cuts that show a deep appreciation for predominately rare and native, pasture-fed breeds. For the food adventurous, there’s a range of butchery classes including the aptly named “sausage wrangling” and “love the lamb”. On a Saturday, you’ll find Nathan at Spa Terminus and during the week at his new premises in Forest Hill, where he does regular tastings like a true Aussie on a barbie. Brockley Market, Lewisham Way, SE4 1UT; Horniman Museum Farmers Market. Barbecoa was always going to grab attention. As the brainchild of Jamie Oliver and US Adam Perry Lang, its promise of fire-based cookery was destined to be a big hit with the City. But it is the butchery that has long-held our attention, with its front-of-house artisan skills and ultra-modern glass and steel interior. Located in one of London’s busiest centres - One New Change, there was never any pretense that it would feel like your village butcher. However, with its meat sourced from select farms across the UK and aged on site, it has more than delivered as a champion of the best of British. Beef is hand-selected by veteran Jim Taylor. 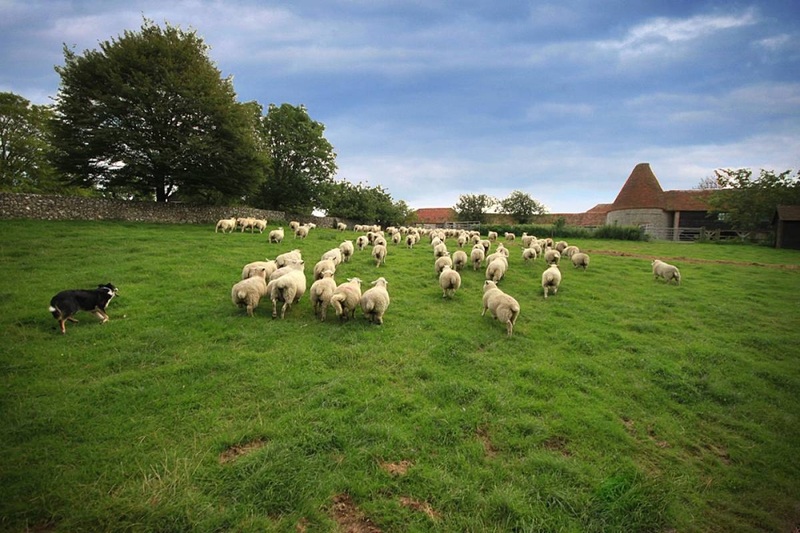 Lamb comes from a single farm in East Sussex with all the flavour of grass-rearing on the South Downs. Pork is courtesy of Plantation Pigs; poultry from celebrated Temple Farm, Essex. Meat is cut to order and for those wanting to explore the art of butchery, Barbecoa offers master classes from The Whole Hog through to chicken and lamb chopping, where you can learn how to de-bone a chook and break down a whole lamb. Serious butchery in the heart of London. 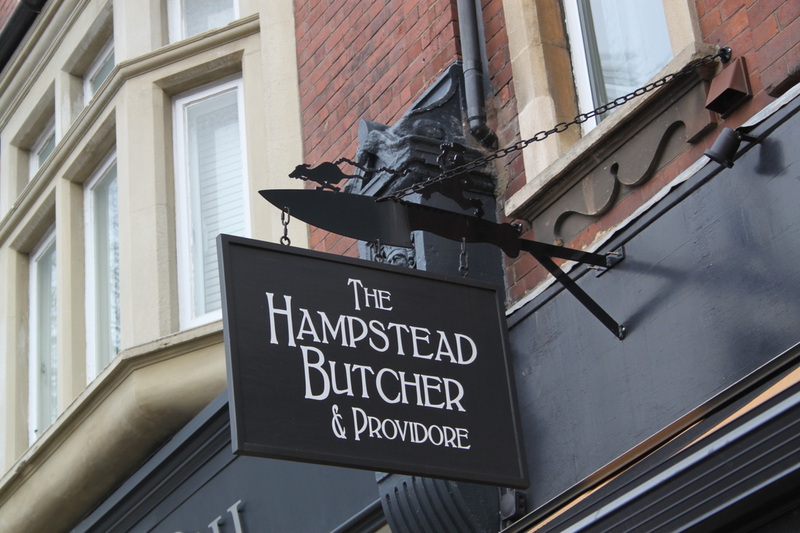 Home is where the heart is and for The Hampstead Butcher and Providore it’s NW3. This butcher, delicatessen, charcuterie and wine merchant is a true local favourite, offering quality produce and home-away-from-home meals in this area of leafy London. 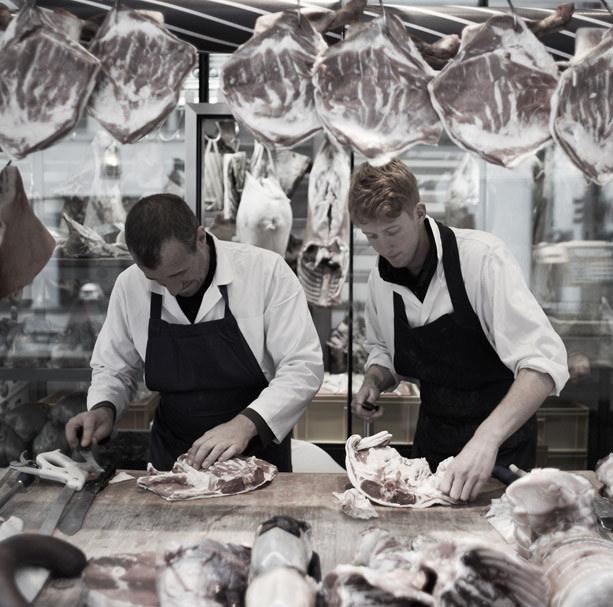 At its butcher, pride in provenance means that you’ll find meat sourced from the best of English farms. All of its meat is free-range, traceable and ethically reared like its pork that comes from St Margaret's Farm in Suffolk. For convenience, meat can be ordered by the box and home delivered. We like the Butchers Block Special for Two and the summer perfect, BBQ Feast box. Ready-meals make for the perfect night-out at home. It’s the closest we’ve found to home cooking. The wine list is considered making this providore and butcher, a true neighbour - always there just when you need them for a meal and bottle of wine or two. Online: You can order on line here. Home delivery: Yes but check for details and pricing. Bringing traditional butchery and artisan produce to London, Jacob’s Ladder has always been one of the city’s great innovators and a regular stallholder at its finest food markets. A co-operative of smaller farms and producers from Sussex and Kent, all those gathered under its name are committed to sustainable and local food practices from biodynamic farming through to bread production. It was started in 2010 by Jayne and Michael Duveen of Colin Godmans Farm who remain the force behind Jacob’s Ladder today. Other members include Perry Court Farm - the first family to practice biodynamic agriculture in the UK; Montague Farm - farmers of traditional marsh land sheep;Ladymeads Farm - Edwina Le May has been rearing rare breed hens for 27 years. All farms are family-run including Hungary Lane Farm - a 300 acre biodynamic farm located in Sutton Bonington and Coopers Farm that specialises in Berkshire pigs as well as being a practitioner of polymath traditional farming. Brockwell Bake Association famed for its production of bread using stone-milled UK grain is another member. You’ll find Jacob Ladder’s at all good markets throughout London selling its organic and bio-dynamic meats, cheese, eggs and bread straight from the farm. Locations: Visit them at their permanent home at Spa Terminus, 104 Druid Street, SE1 2HQ. Check its website for its weekly market locations across London.